The ethic clashes that marred Tana River at the coast region of the country, and which left more than fifty people dead, scores of other injured and a whole village with more hundred houses burned down is something worth worrying about. Apparently, two communities in the area are fighting over grazing land and the heartrending act that happened yesterday could be a revenge attack from one of the communities. The communities say they are not going to relent in making sure they have their share, meaning they will be taking actions into their hands. What makes things sadder is how such attacks were planned under the watch of the countrys intelligence service. Previous attacks had already been reported in the area and it was expected something worse could happen, particularly after the residents warned that they were not going to sit down and watch their community being molested. It was expected the government would act fast to protect and prevent these clashes from going on. These clashes are also coming at the wrong time when the country is preparing for the general elections, with only seven months to. They also come at a time when Mps will be debating whether to extend the term of the National Cohesion and Integration commission, under the chairmanship of Mzalendo Kibunja. The clashes have brought back memories of the 2007-2008 post election violence with let more than one thousand people dead and many other displaced, and this is the last experience Kenyans would like to remember. Watching our parliamentarian raise questions on this violence, with each of them blaming the government for failing to act also left me baffled, are they not part of the government? Defense minister, Yusuf Haji, who is also the acting internal security minister even, had the guts to stand on the floor of parliament and blamed the government for failing to tackle the issue while he holds the two key ministries that should be protecting the people of Tana River. If the same people in government continue blaming the same government for failing to protect its people, its just shows the lack of seriousness on the part of the government. Allegations by some members of parliaments that these clashes could also be politically motivated should also not be taken lightly. It as always been a norm whenever elections are around the corner, a lot of ethnic clashes is always experienced. Reports suggest that tension is still high in the region and the government should act to protect these clashes from extending to other parts of the coastal region. There are also reports that other clashes are being experienced among the Pokot and Turkana communities over natural resources, and also along our borders. The government should act fast and beef up security to ensure no more lives are lost. Leaders who are found to be behind these attacks by using their political influence should face the law. Kenyans are tired of waking up every day to news of deaths and violence with leaders making blame games instead of working towards solving the problem and protecting the people they serve. The Kenya National Union of teachers (Knut) has decided to stick to their demands of downing their tools starting from 3rd September when schools re-open. The teachers are depending on an agreement that was reached between the government and teachers five years ago in which they were promised higher salaries and allowances over a 10-year period, and to them, these agreement has never been implemented. 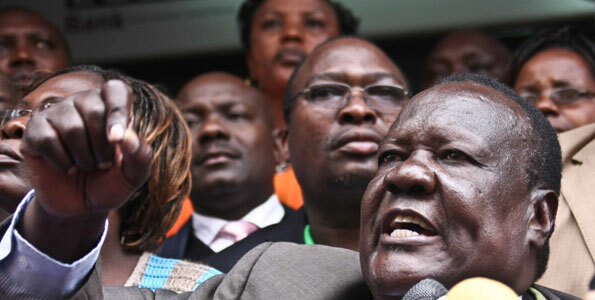 The umbrella workers union, Central Organisation of Trade Unions Kenya (COTU) has thrown its weight behind the planned teachers’ strike, with the secretary Francis Atwoli saying he supported the strike since teachers are a fundamental part of the country’s economy and development since they shaped and trained future leader. I could not agree with Francis Atwoli more. This move by the teachers now puts the government, especially the education minister Mutula Kilonzo on a tight spot. 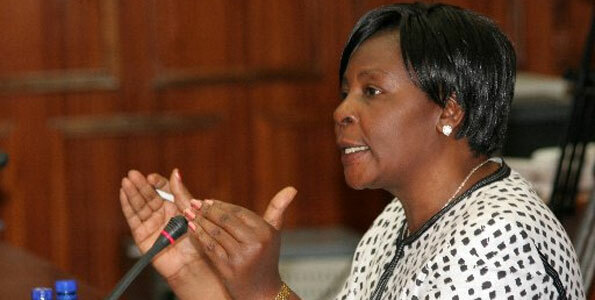 Atwoli has called on the government to act fast to come up with an agreeable solution to avert this strike. If the same government delays to dialogue with the teachers then come the said election date, the people to suffer are students in public schools. Already, the government has banned tuition holiday in schools where the teachers say most students were benefiting from. Most of these students are now at home and will be resuming classes on the said date the teachers will be downing their tools. The government has therefore a very short time to avert the strike. Our country’s education system has so many loopholes that have to be fixed. These loopholes are the contributing factors to such strikes. Even as teachers demand for a 300% pay rise, they should realise that they have a responsibility to play to ensure they provide quality education to students. KNUT was so much opposed to the banning of holiday tuition, what they never realised is that school head teachers and principals had turned it into a money making venture. My little sister for example in a school in western Kenya were asked to pay Kshs. 3,000 for the tuition which goes for three weeks, while the third term school fees is kshs. 4,000. This is so unrealistic. So, even as they plan to down their tools, these teachers should know that we are watching them as a country. Come the next national exams, we want to see public schools performing better than public schools. The violence that erupted during the ODM nominations exercise for the Ndhiwa by-elections yesterday was very saddening. The violence erupted amid claims of vote rigging which forced the voters to attack the presiding officer at the Ratang’a Primary school in Kobama Division for delaying the voting exercise. These actions by the Ndhiwa voters should leave us a worried lot, especially with the general elections fast approaching. At a time when we should be thinking that Kenyans must have learned a lot after the previous violence that engulfed the country after the 2007-2008 elections, this should not be happening. In fact, the actions by the Ndhiwa constituents should be condemned with the highest terms possible. Our country has come a long way especially in elections related violence and the last thing we want as Kenyans is reviving those memories in our minds. From what was experienced in Ndhiwa, it was clear that the voters did not have trust in the electoral process for the by-elections nominations. With preparations for the next general elections now in top gear, this is what the IIEBC, the body mandated to oversee next years general elections should be looking at. Already, the commission is working hard to ensure Kenyans regain the confidence in the electoral body and therefore, the Ndhiwa violence must be a very big setback for them. What is the commission doing about this? But this should not deter it from ensuring that Kenyans have full confidence in it. Recent move by the commission to turn to the manual voter registration after the cancellation of the Biometric Voter Registration which was later revisit after the government came in should not also be a reason for Kenyans to loose faith in the Isaack Hassan led commission. This was one of the major setback the commission faced and the government came to its rescue promising to help it acquire the biometric voter registration equipments from neighboring countries which have used the same process. The government intervention raised a heated debate across the political class and Kenyans with the independence of the commission being questioned. But as much as this is going on, we should not let IIBC lead us the Kivuitu way, and this can only be done if we give it a clean vote of confidence and trust. Competitive as the coming elections are going to be, Kenyans should not let themselves manipulated by hungry politicians to cause violence. The electoral body should ensure that was experienced at Ndhiwa is not experienced in the future. The tribunal appointed by the president to investigate the conduct of deputy chief justice, Nancy Barasa finally gave its verdict yesterday. The tribunal decided that Barasa be stripped of her position as deputy CJ. The tribunal stated that her actions were against the judicial code of conduct and ethics, which provides for people in her position to conduct themselves in a good manner even in their private lives as termed her actions as an act of gross misconduct and misbehavior. 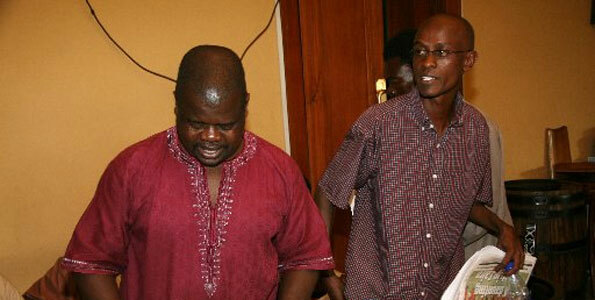 Barasa had been accused of threatening a security guard at a shopping mall in Nairobi. What does this verdict mean to Kenyans and people holding public offices in the government? Fit as one might be to hold that position, how they carry themselves outside really matters. It should also be a warning to those leaders who misuse their positions to threaten the “little fish” thinking they will walk scot free without facing the consequences of their impunitive actions. It should also send a very comprehensible warning to our leaders that we are living in a new constitutional dispensation where everybody is equal. The constitution provides for equal treatment for everyone despite the position one holds in society. When Kenyans overwhelmingly voted in the new constitution, their anticipation was to get rid of vices like impunity, corruption and bad leadership, which had completely taken over the countrys leadership. Times when only the leaders only thought of themselves and got a big chunk of the countrys cake were what we wanted to get rid off. Thank God these provisions have been provided for in the constitution, which allows leaders who abuse their offices through such vices to be removed from public office through their conduct being investigated. The general elections are fast approaching, set to be held on March 4th 2012, as already confirmed by the courts and these are the type of leaders Kenyans should look out for. The Nancy Barasa tribunal might have opened a window of hope for Kenyans that leaders who practice impunity have no where to run to. The Interim Independent and Boundaries commission has been given that mandate to vet all candidates before allowing them to vie for public positions. Kenyans are keenly watching to see if the commission will do its work to the citizens’ expectations. The issue of integrity should be of paramount emphasis by the commission during its vetting process, all those people with integrity issues should not be given a chance to vie for any position in the next general elections. Focus should now shift to the previous cases of impunity that have gone unpunished. So many leaders in the country continue holding government positions even with so many corruption or impunity related cases under their noses. Everything about these leaders is in the public sphere of influence and Kenyans are still waiting to see what action the government is going to take on these leaders. Despite all these having been forgotten by these leaders due to the high political campaign temperatures being experienced in the country, our leaders, especially the two principals, the president and the prime minister are what Kenyans are looking up to. Nancy Barasa conduct tribunal verdict just shows that if taken seriously, the war on impunity can indeed be won in the country.